Tonight marks the start of a fasting festival in the Jewish calendar – a major day of mourning called Tisha B’av (תשעה באב). Although a large number of disasters are said to have befallen the Jewish people on Tisha B’av, the major reason for a day without food or celebrations is to commemorate the destruction of the First and Second Temples in Jerusalem in 586 B.C.E. and 70 C.E., respectively. Tisha B’av starts with a reading of the book of Lamentations, whose opening line is “Alas, lonely sits the city once great with people!…” and goes on to describe the horror of events from two and a half millennia ago, when the Babylonians razed the First Temple and drove Jews from their land. While there were always Jews who remained in Israel, for the past thousands of years there have been more Jews scattered across the world than united in their indigenous land. But what has changed, is that the State of Israel is no longer under Babylonian, Roman, Persian, Muslim, Crusader, or British control; Jews are, since 1948, sovereign for the first time since 586 B.C.E. And for the first time, also, people from all religious traditions are free to practise how they see fit. Almost. Christians are no longer prevented from worship in the Church of the Holy Sepulcher, and Muslims are free to pray in either the Al-Aqsa Mosque or the Dome of the Rock. 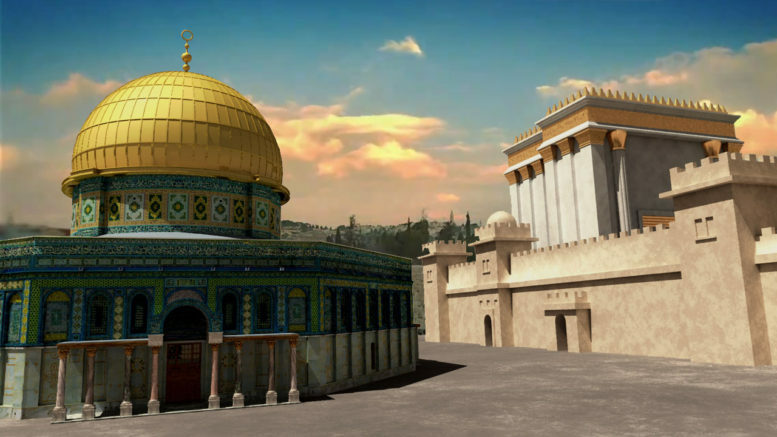 However, non-Muslims are unable to pray while in the Temple Mount compound – the holiest site in Judaism. The indigenous sovereignty that Israel now enjoys has come with major compromises for the Jewish people. This year, Tisha B’av is especially pertinent because of the recent events at the site where the temples stood. Prior to 1967, the Hashemite Kingdom of Jordan ruled Jerusalem and prevented Jews from praying anywhere. When Israel reunified Jerusalem in 1967, then defense minister, Moshe Dayan, decided it would be best if the Jordanian Awqaf Ministry would continue to administer the site, in order to avoid a larger conflagration with the Muslim world. From then on, it was agreed that Israel would be responsible for security around the perimeter of the site, while the Jordanian-controlled Jerusalem Waqf would be responsible for what happens within the compound. The recent riots and terror attacks over Israel implementing simple security measures at the entries to the compound show that Dayan was correct in his estimation of an uncompromising ideology unafraid to use violence. This year, more than ever, Tisha B’av is a reminder of the pain inflicted by those who seek to destroy the Jewish people and by those who cannot compromise or tolerate different worldviews. Perhaps one day all people will realise that true peace requires both sides to accept the other and perhaps one day Jews will be able to pray at their holiest site next to their Muslim cousins without risking violent opposition.